The Office of the Public Guardian is working closely with MOJ’s Digital Services Division and the Government Digital Service to transform our services and offer a suite of online tools to our customers. These will form one of MOJ’s digital exemplars. 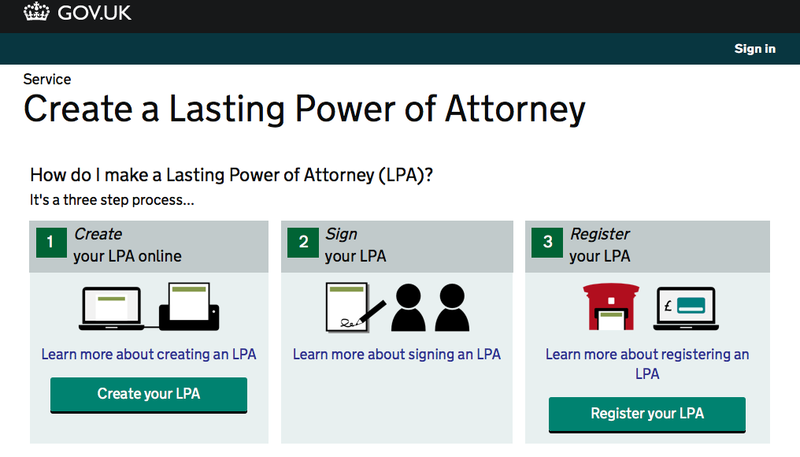 The first thing we’re developing is a tool to enable users to apply for a Lasting Power of Attorney. A Lasting Power of Attorney is a legal document that allows someone to choose another person - or persons - to make decisions on their behalf, including when they lack mental capacity to make the decision themselves. An alpha version of the product went out as a limited pilot in November 2012 and we have already received valuable feedback from the users involved. This, along with results from extended internal testing, has informed a new iteration of the product, released to stakeholders and piloted from mid-January. The decision to open up an alpha to a limited section of the public was not a traditional one, but we believe the benefits of doing so outweighed any associated risks. We invited charities like Age UK and a number of solicitors and will-writers to pilot the tool, helping real customers to submit real applications. This gave us the chance to gain valuable feedback from a cross-section of our customers. A public alpha also allowed us to perform significant security and penetration testing, helping us to make it more stable and secure. It also enabled us within OPG to look at different ways of processing the submissions created via the tool. This in turn will inform how the tool will affect the business when the beta is released in April 2013. Work has now started in earnest on developing the beta. We are tearing things down and starting from scratch. Taking the valuable feedback from the stakeholder pilot and the various stages of user testing, we will hack the useable code and logic from the existing application and then rebuild from the ground up to make it ‘simpler, clearer, faster’. In the meantime, we’re looking to widen our ongoing pilot to provide a larger sample. If you or someone you know is intending to apply for an LPA, we’d love to hear from you. The online tool should make the process simpler and participants will have the chance to give feedback which will help us build a better digital service. If you’d like to take part, please email chris.beal@publicguardian.gsi.gov.uk.